Its been a long time since I’ve had a finish of the stitchy kind… Today changes that. This morning I finished my Ubuntu bookmark. Just in time to use it on my holiday! 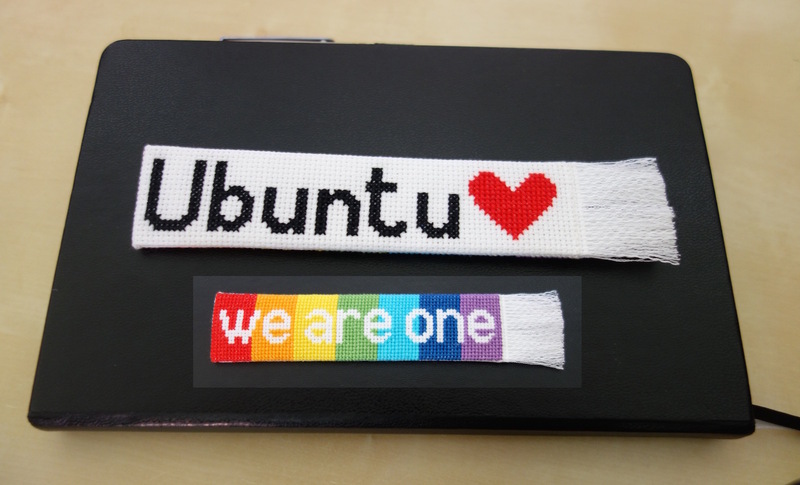 The front of the bookmark has the Zulu word “Ubuntu”. Meaning human kindness, compassion and the interconnectedness between us all. If you you want to know more about it, you can read about it here. For the back I wrote the words “we are one” with a rainbow coloured background using assisi work. South Africa is the rainbow nation after all. Working mum, wife, daughter, sister and friend. When I find a spare moment I like to practice yoga and cross stitch.